STEM stands for Science, Technology, Engineering and Math. Recently, Arts was added creating the acronym STEAM. The following links fall into these categories. Cool Math For Kids – Cool math lessons, cool math games, and fun activities. 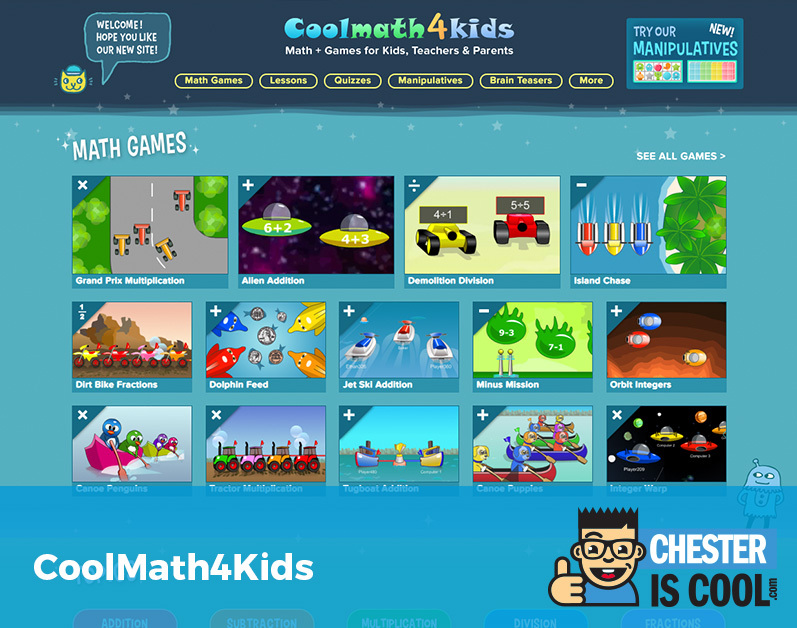 Cool Math Games has cool free online games to learn math, reading, and spelling, geography, science, strategy, skill, arithmetic, shapes, and colors. 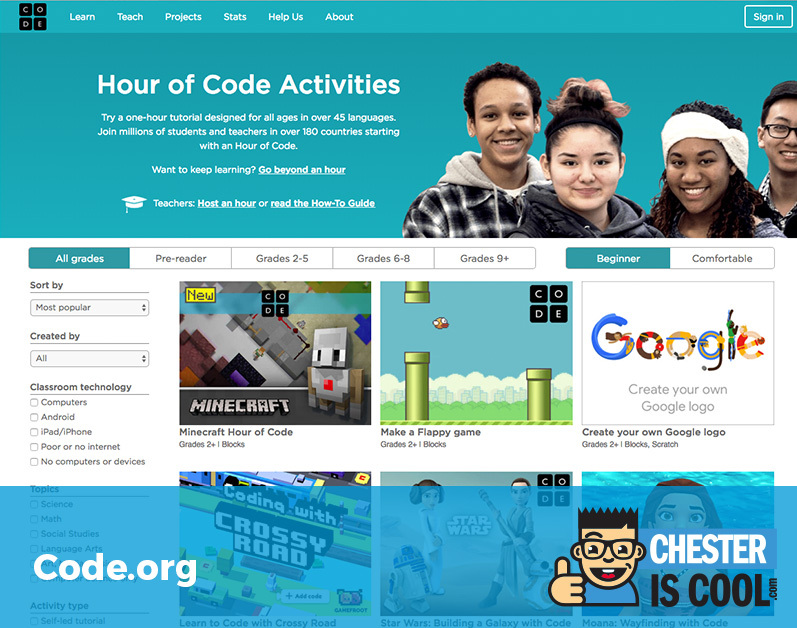 Code.org – Play fun coding games to learn to code. Dance Mat Typing – A fun colorful website with animation and games introducing touch typing to children aged 7 to 11. First in Math – Harness the power of digital gaming to build math skills! 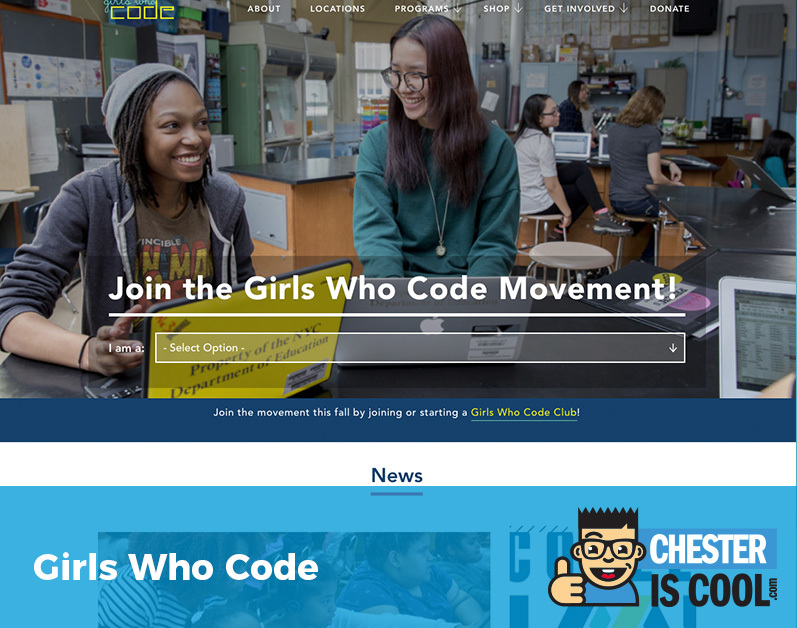 Girls Who Code works to close the gender gap in technology. Ology – A playground for children interested in science with games, crafts, and experiments on dinosaurs, marine biology. Planet Pals – Site for Green Kids Recycle Kids, Earth Kids, Eco Kids, Homeschool, k-6,k-12, Preschool. VOZ Me – From text to speech (speech synthesis) online tool that offers applications and services to convert text into speech.